Getting ready for your holiday in the home of Renaissance, homemade gelato and thick Florentine steak? Florence is one of the most popular cities in Italy attracting people from all over the world with its charm, history, authenticity and culture. 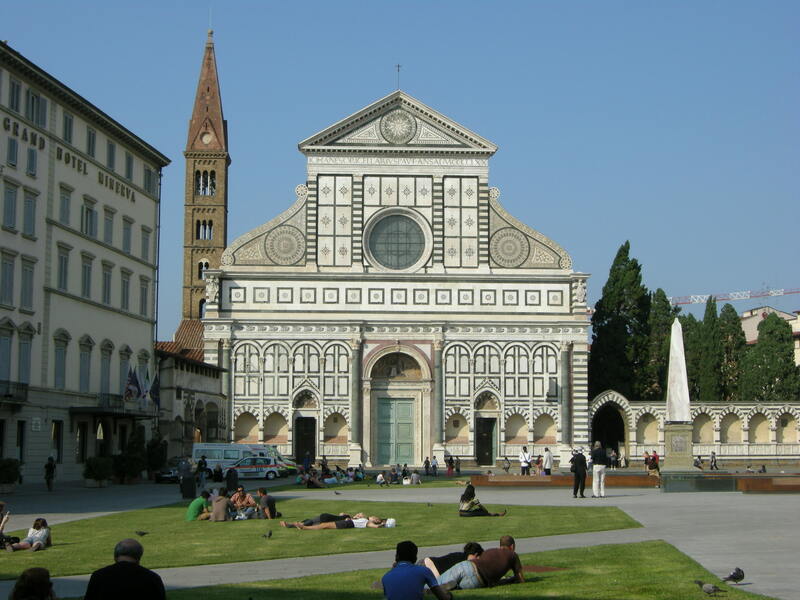 Perhaps, it’s much easier to decide what to do in Florence, since there are so many museums, art galleries and famous attractions there. One of the problems, though, is to choose a great place to stay there. Together with our Florentine local travel experts we are bringing to you a shortlist of best luxury and boutique hotels, as well as top budget hotels in Florence. Pick the one you like most and enjoy your great stay in the city of ice-cream. Rocco Forte Savoy Hotel is one of the best 5 star hotels in Florence situated right at the heart of Florence at Piazza de Repubblica. 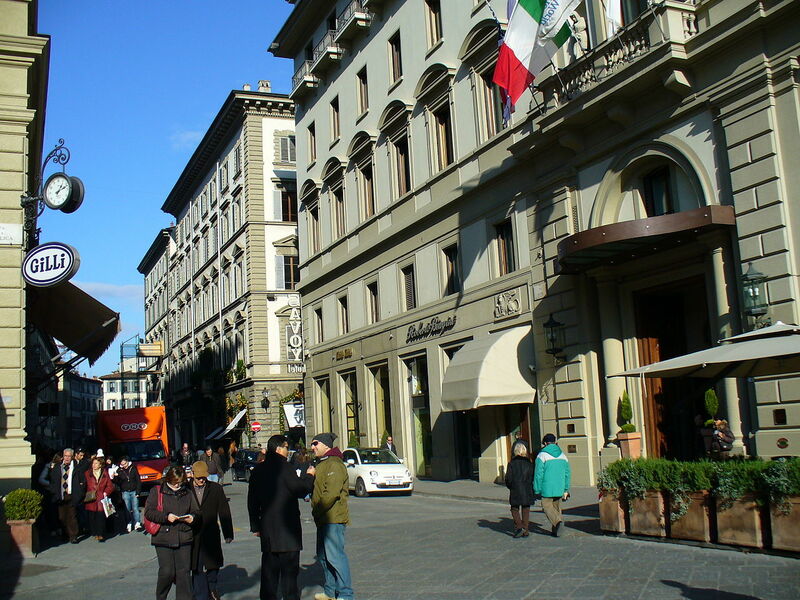 All the main tourist attractions and Via Tornabuoni, Florence’s high-end fashion street, are within walking distance, which makes Hotel Savoy ideal for those who are coming to Florence to indulge in sightseeing and shopping. The interior design is an elegant blend of contemporary art and classical style with modern fashion canvases found together with historical antiques. 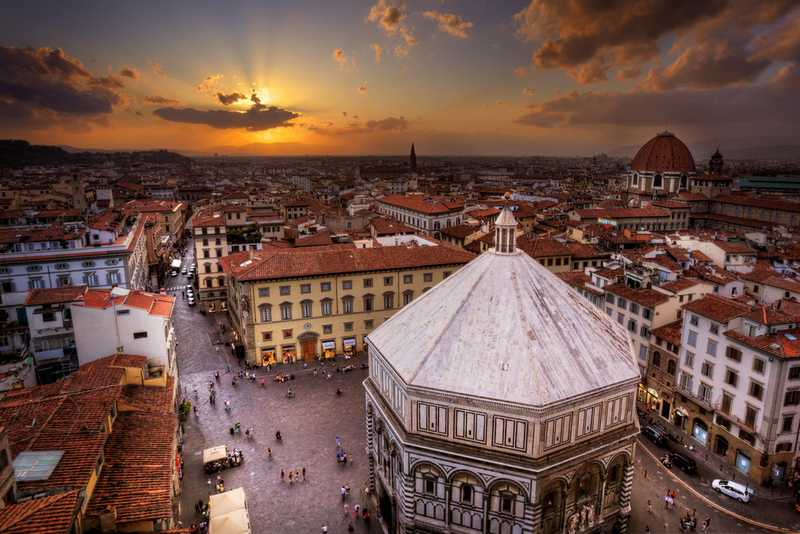 Hotel Say has one of the best gyms in Florence with a spectacular view over Il Duomo. Brunelleschi and Signoria suites are equipped with private steam rooms for those who love spa. Another great thing about Hotel Savoy is that it also has access for people with disabilities. Definitely an amazing luxury hotel to choose in the centre of the Renaisance heart of Italy. Portrait Firenze Hotel is a luxury boutique hotel belonging to high end Italian shoemaker family Salvatore Ferragamo. Perhaps, it is the most ideally located hotel out of all outlined in our article. 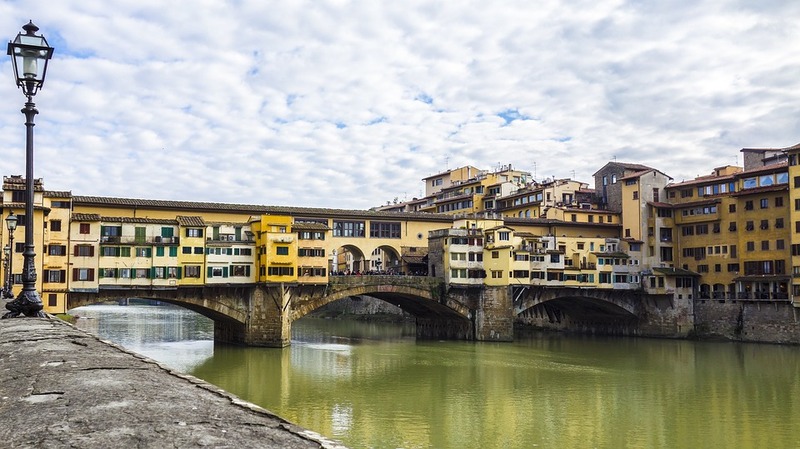 Portrait Firenze is situated right next to the famous Ponte Vecchio bridge with its rooms overlooking this fascinating sight and the River Alto. The Uffizi Gallery with its spectacular art collection and the Bargello sculpture gallery are just a few minutes away from the hotel. All travelers are amazed by the courteous staff of Portrait Firenze who eagerly help with planning itineraries, suggesting places to visit and recommending restaurants to eat out. It is definitely one of those aspects which makes this hotel stand out from the rest. There is no reception desk but welcoming staff ready to welcome you and assist with any matters 24/7. J.K. Place Firenze would be ideal for travelers looking for a warm and elegant townhouse hotel with stylish decor and welcoming staff. This hotel is popular not only among couples coming here for a romantic city break in Florence, but also high-end designers choosing this venue to present their new fashion collection. J.K. Place Firenze hotel is located on the lovely Piazza Santa Maria Novella with Via Tornabuoni, the main shopping street in Florence just around the corner. The decor in the hotel is elegant and classical with Italian antique meeting Maroccan lamps in a charming blend. Just like in Portrait Firenze all check-in and check-out formalities take place at a lounge bar over a drink and the staff are very accommodating. In the middle of a quiet Florentine private garden, just 10 minutes’ walk away from the city centre you will find AdAstra hotel. 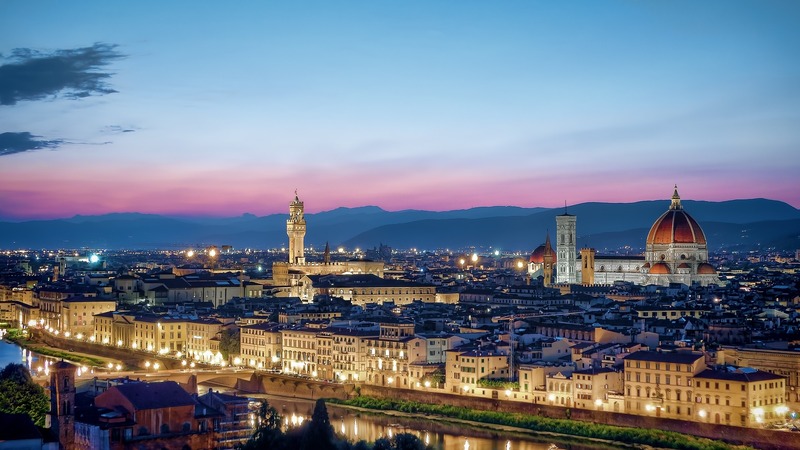 The chic Oltrarno neighbourhood is famous for vibrant nightlife spots, hip bars and independent boutiques, so this place would be perfect for those willing to experience Florence from a new, more authentic side. Rooms resemble aristocratic private apartments in style, luring guests with creaky parquet floors, vintage furniture, frescos and creative artworks. Staff work in AdAstra between 8am and 8pm only due to the ‘home away from home’ approach of the owners. However, the staff are extremely welcoming and enthusiastic, keen to take guests around the city and recommend less touristy restaurants and hideaways. 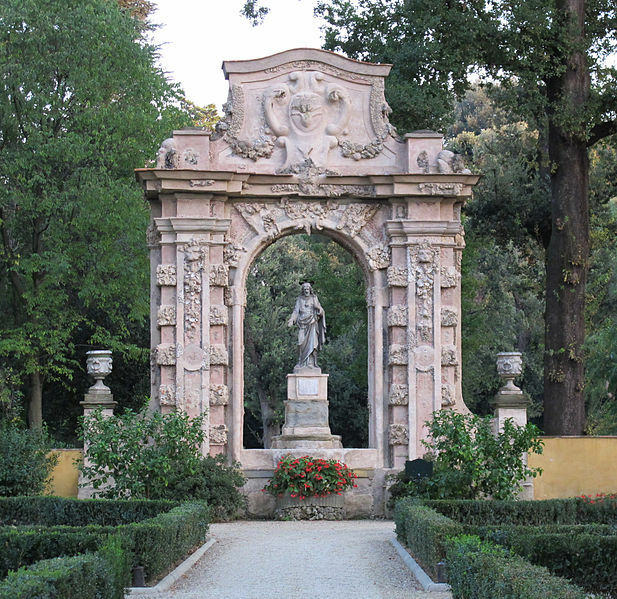 Villa Cora is another gem of Florence. It is a restored 19th century villa with a large green park welcoming international travelers to plunge into the atmosphere of luxury and class. It’s a great town retreat with amazing views from the villa’s roof terrance. However, an obvious downside of this hotel would be its distant location from the city centre. There is a free shuttle bus, though, always ready to pick you up anywhere in the city and drive you back to the hotel. Villa Cora offers amazing hotel amenities to its guests, ranging from Vespa tours and free bike hire, to in-house spa with luxury bodycare brands and heated outside pool. There is also an authentic winter bar with a grand piano standing there, so if you are going to stay at Villa Cora, make sure you practice some music pieces beforehand. Another spectacular hotel away from the city centre is Four Seasons Hotel Firenze. It will make you feel as if you were staying at a Renaissance palace, as everything in the hotel, from concierge staff and breakfast to hotel amenities and room decor, is impeccable. Four Seasons Hotel Firenze itself consists of two buildings, 15th century Palazzo della Gherardesca and 16th centure former convent. The interior design is fascinating with original oil paintings, Italian antiques, Renaissance-style lobby and designer furniture would leave no one indifferent. The hotel spa is based in a separate pavilion and is famed for Officina Farmaceutica di Santa Maria Novella beauty lab and exclusive wine massage. Make sure you also try upper side Tuscan and simple trattoria dishes at the main Il Palagio restaurant, poolside Al Fresco pizzeria and Atrium bar with its amazing cocktails. Palazzo di Camugliano is located in a 16th-century building in central Florence with a cozy internal garden. Since the residence is situated between Piazza Santa Maria Novella and the Carraia bridge, the location is quiet and charming, yet central. Antique furniture, wood-beam ceilings and Italian stuccowork make you plunge into the atmosphere of a 16th century aristocratic guesthouse and savour every bit of it.